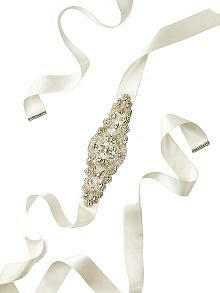 Dessy's intricately hand beaded Jackie bridal sash is a stunning addition to any wedding dress. An opulent array of densely beaded crystals and sequins adorn this sash. 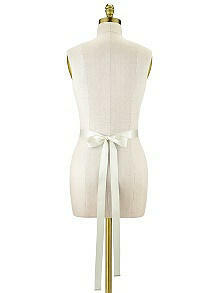 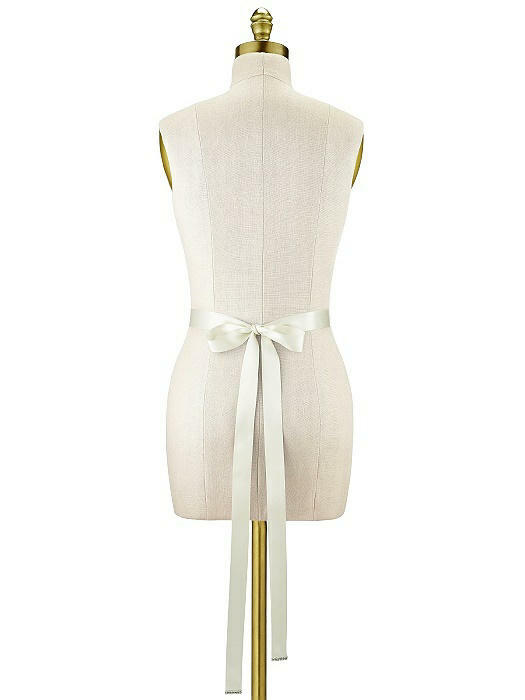 Ivory satin 1 1/4" ribbon with tie closure. 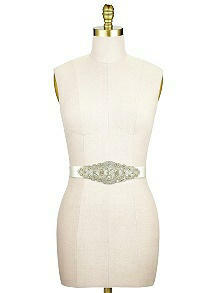 Sash approx 104-105" in total length. 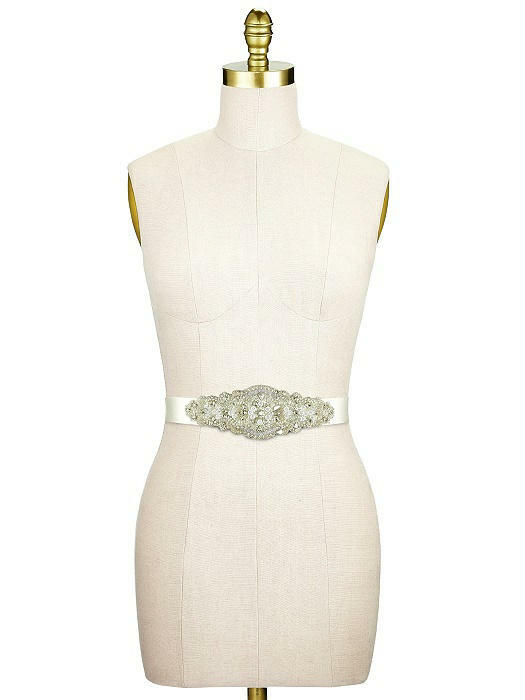 Medallion is approx 2 1/2" high at center. Beading is approx 7 1/2" long from one end to other.